Sick of going home to the same old meal plans? Switch up your usual evening dine-in for a delicious dine-out. Eating out mid-week doesn’t have to be expensive, and with so many of Sheffield's bars and restaurants offering up unbeatable deals, grabbing a bite after work has never felt so good. 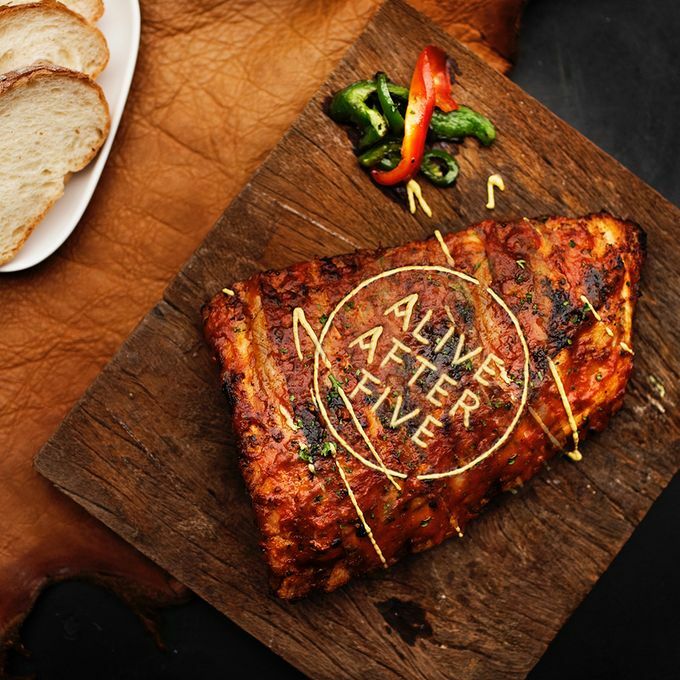 Use #SheffAfter5 to share your favourite places to get top-notch nosh for a tasty price after 5pm. The Devonshire is an all-day bar and restaurant in the heart of Sheffield City Centre. Mixing the traditional with the modern, The Devonshire is one of Sheffield’s favourite destinations. This venue’s unique space serves as a relaxed bistro during the day and transforms seamlessly to a speakeasy-style gin and cocktail bar through the night. The atmosphere is paramount at The Devonshire and every week you can indulge in good food and good music. So, why not beat the start of the week blues with a cracking 25% off food, because who wants to cook on a Monday anyway? Their modern British menu takes you from brunch through the day to delicious evening meals where all of the ingredients are sourced locally and lovingly and prepared by their passionate kitchen team. Not sure where your mid-week plans will take you? Head over to Bungalows and Bears for an atmosphere and food and drinks offering like no other. In an old building that once housed the fire engines that served the city, Bungalows and Bears is home to some seriously satisfying mid-week treats that will have you coming back for more. If you fancy unwinding with a craft ale, proper burger and funky music, take a trip down to the Devonshire Quarter. Stop by on a Tuesday to take advantage of Bungalows and Bears’ Two for One Tuesdays where you can grab one of their famous burgers, fried chicken or half roast birds and chips, with a second helping on the house. Bang in the middle of West Street is the Steel City’s first and only classic dive bar. A chilled hangout spot with ice cold beer, wine and cocktails, at night, Firepit Rocks is a party spot, spinning rock ‘n’ roll and classic hip-hop vibes, and serving delicious wings until 4am, 7 days a week. Whether you’re looking for a chilled beer with mates or a proper party, Firepit Rocks is the perfect spot for your late night shenanigans. If you’re stuck for some mid-week meal inspiration, why not head down to West Street for Firepit’s Wing Wednesday. Fill up for just £12 with their unlimited delicious chicken wings marinated overnight in their homemade rub and smoked for 90 minutes before being served with skin on fries and either Henderson’s glaze, peri peri, buffalo or bbq sauce. If you’re after food with a view why not head down to Ego? With stunning views of the Winter Gardens, as the official Restaurant Partner of Sheffield Theatres, Ego Mediterranean Restaurant & Bar is a must visit for its Mediterranean food, pre-theatre dining and delicious cocktails. Connected to the St Paul’s Mercure Hotel, this atmospheric restaurant is ideal for large groups, special occasions, business lunches and intimate mid-week dining. Reserve your table on Thursdays to enjoy their delectable hanging kebab night. All of Ego’s kebabs balance the flavours of Mediterranean vegetables with mixed leaf salad, tzatziki, tomato salsa & tortillas. From Sirloin Steak to Chicken and Chorizo you can tuck into their succulent hanging kebabs from as little as £12. Looking to get your hands on some proper pub grub? The Globe is a great local pub that’s ideal for meeting friends, chilling out to the sounds of their retro jukebox or sitting down to a good meal from their new menu. The Globe is the ideal spot that serves a range of well looked after cask beers, a large selection of craft beers and wines to complement their weekly dining offers. If you like your Friday nights full of hearty British food, why not stop by The Globe where you can get a classic British dish and a drink for just £5.99. Choose from flavoursome fish and chips, comforting Cumberland sausage and mash, a proper beef and ale pie or firey Thai lentil pie, and wash it all down with one of their cask beers, wines, spirits or soft drinks for an evening meal that will leave you with change to spare for spending around the city.